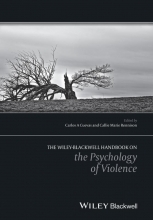 The Wiley-Blackwell Handbook on the Psychology of Violence features a collection of original readings, from an international cast of experts, that explore all major issues relating to the psychology of violence and aggressive behaviors. 3. Why are Offenders Victimized so Often?